It’s important to us that you have a great experience during your roof replacement project in Bradford. Has your roof reached the end of its life? Are you completing repairs more and more often, but the roof still shows signs of damage and wear-and-tear? Your roof is one of the most important components of your home, and when you are tired of dealing with roofing problems, you may be ready to commit to a new roof replacement. At Slippery Slope Roofing, we are prepared to assist you with all your roofing needs in Bradford, Ontario, and we’ll make sure your roof replacement project gives you great results. 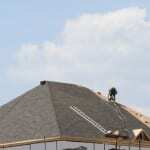 Interview – Before we begin the process of roof replacement, we’ll make sure to discuss your needs. Whether you only need one section due to a tree limb or you’d like to replace your whole roof, we will make sure we have a full understanding of your needs before we get started. Attention – It’s important to us that you have a great experience during your roof replacement project. We only complete one roofing job at a time, so you can ask us questions, express concerns, or simply feel confident that you have our undivided attention while we replace your roof. Satisfaction – You’ll feel safe and secure once your roof replacement project is complete, and our goal is to ensure you are completely satisfied. With over 50 years of experience in the roofing industry, you’ll know you have come to the right place when you work with our team. Contact us at Slippery Slope Roofing today for more information about our roofing services or to schedule your roof replacement. We look forward to working with you.